A bright addition to any outfit, Our Mediterranean Pons Avarcas in White will have you walking around in style (and when you’re looking this cute, we totally think it’s acceptable to wear them past Labor Day!). 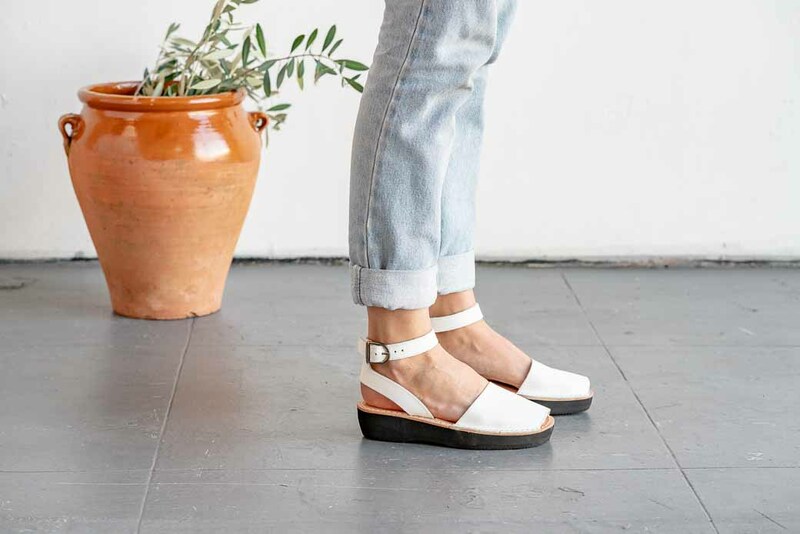 Handmade & inspired by the traditional Spanish avarcas, our Pons sandals are crafted with high quality full grain leather, have an ankle strap with a buckle closure for a secure fit, and feature a 1.5 inches (3.80 cm) lightweight platform sole. Freshen up any look, from pants and shorts to dresses and skirts, with these bright neutral shoes! All Avarca shoes available through our Outlet section are FINAL SALE, and not available to be returned or exchanged (no exception).